Carl Icahn is fighting the Japanese company’s complex plan to take control of its U.S. partner, but he’s open to a cleaner $11 bln deal. That just about stacks up for Fujifilm in terms of debt needed and an investment return. It’d be far harder to justify strategically, though. 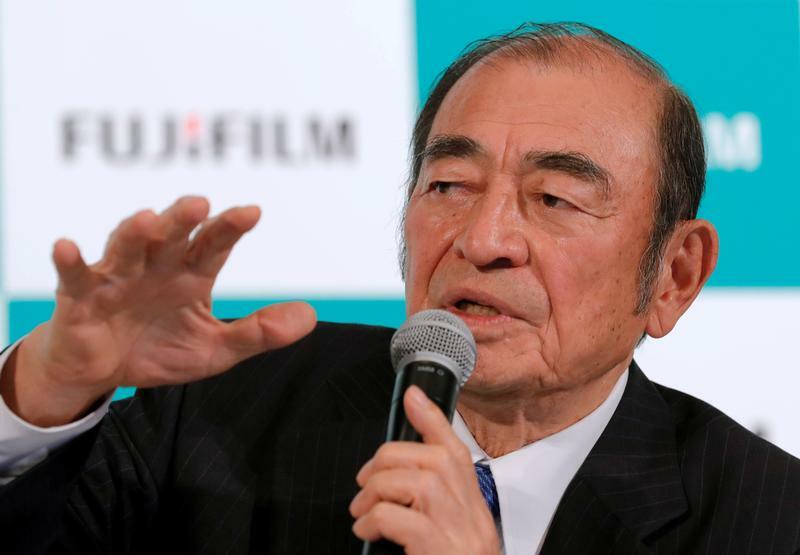 Fujifilm Holdings' Chief Executive Officer Shigetaka Komori speaks at a news conference in Tokyo, Japan January 31, 2018. Xerox shareholders Carl Icahn and Darwin Deason said in an open letter to investors on May 7 that an all-cash bid of at least $40 a share for the company “would require our serious consideration”. The duo, who together own about 15 percent of Xerox, in late April won a ruling to block temporarily a $6.1 billion deal that would make the U.S. copier company a subsidiary of Japanese rival Fujifilm. Icahn and Deason argue the transaction values Xerox at about $28 a share, while Xerox estimates it is worth $45 a share. Xerox agreed on May 1 that Chief Executive Jeff Jacobson and most directors would step down, in a deal to settle a lawsuit brought by Deason and avert a proxy battle. Two days later, Xerox let the agreement expire, citing a lack of legal protection for board members. On May 3, Reuters, citing unnamed sources, reported that buyout firm Apollo Global Management had approached Xerox to express interest in a possible acquisition. “We are aware of the market speculation regarding a rival bid by Apollo and we are confident that other potential buyers are waiting in the wings to kick the tires,” Icahn and Deason wrote in their May 7 letter, but said this would not happen until Xerox’s “lame duck” board and CEO left.